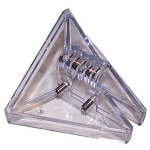 Levi's Snow Defender 6500 is a stainless steel clamp-on metal snow guard. 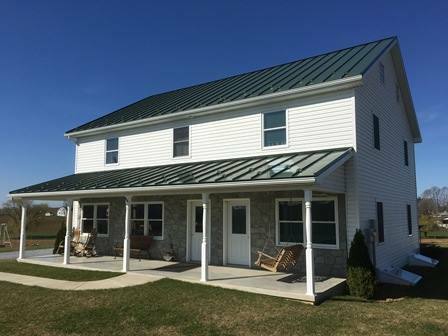 It is used for snow retention on standing seam metal roofs up to 3/8" in width and 1" to 1 3/4" seam height. This unique clamp-on snow stop will not rust nor will it penetrate the roof. We recommend reading the instructions before purchasing this product; for best installation results, use a torque wrench to achieve 220 inch pounds of pressure. 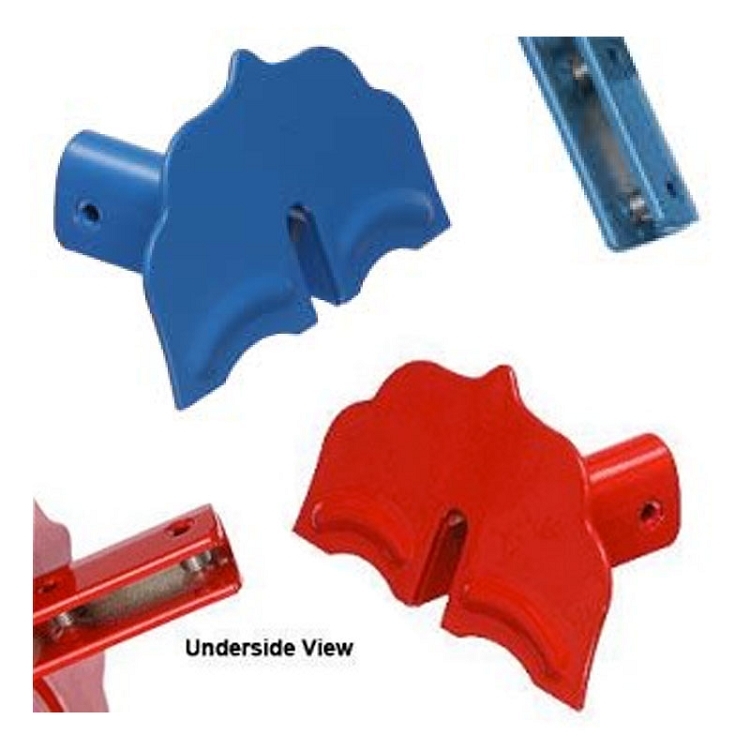 The Snow Defender 6500 is a metal clamp on snow guard used on standing seam metal roofs. While plastic snow guards like the Rib Guard are cheaper and just as efficient, people want a metal snow guard. 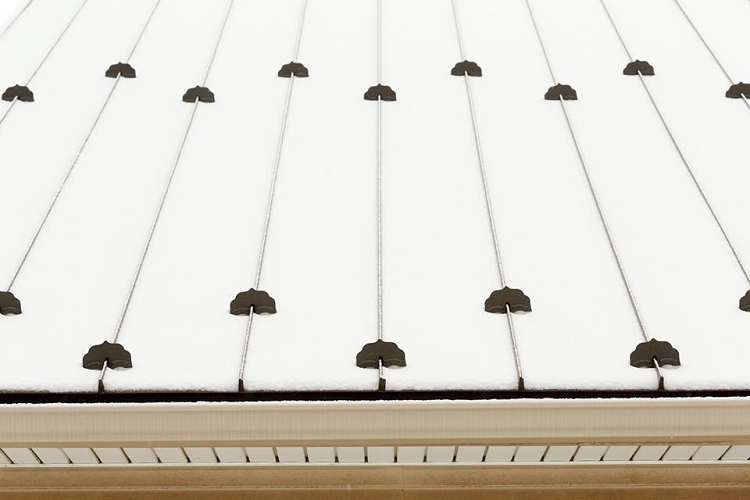 Snow guards are items people place on the roof to help keep a snow sheet come crashing down from the roof (also known as a rooftop avalanche). 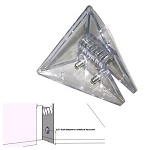 Clamp on snow guards are necessary when a person does not want to penetrate their metal roof. This could be to prevent leaking, or to avoid voiding the roof warranty. 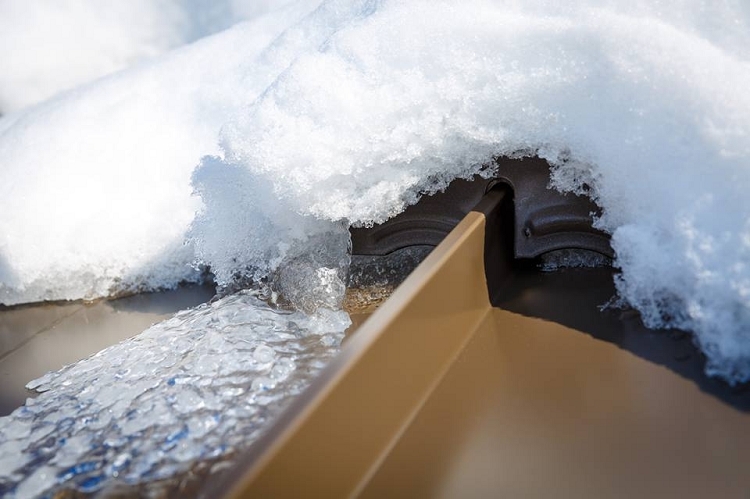 Levi's Building Components has created the Snow Defender series to meet your roofing needs when it comes to snow guards. 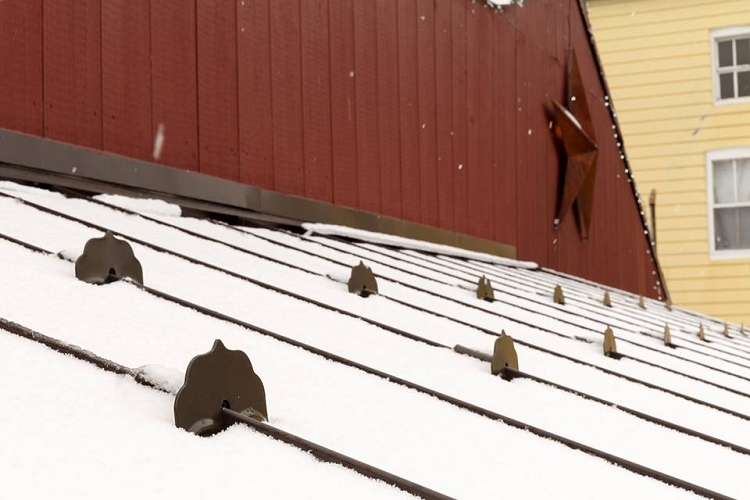 Snow guards are necessary for almost any metal roof. More and more we hear stories of people getting hurt or killed, gutters being ripped off, cars being damaged and ground mounted mechanical units also being damaged or destroyed. The Snow Defender 6500 will not only protect loved ones and material goods, but it looks aesthetically pleasing when placed on the roof. 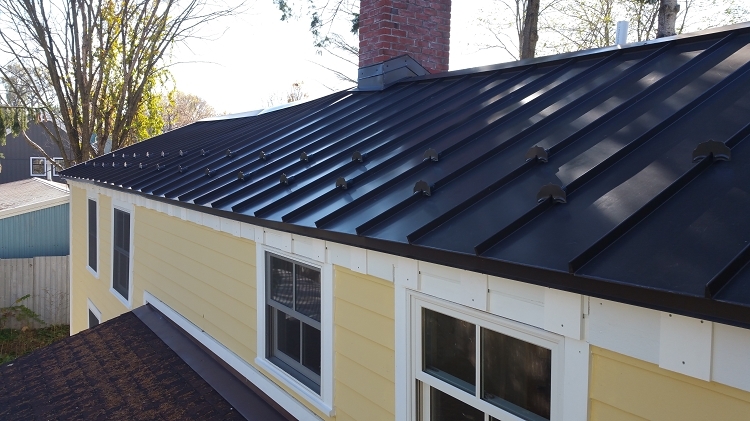 It can be purchased plain (non painted) or painted the same color as your metal roof. 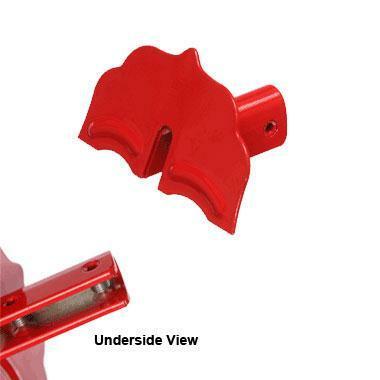 This product is equal to other snow retention products know as: snow stops, snow jacks (snow jax), snow blox snow birds, snow shoes, snow cleats or snow breaks. The SD6500 is powder coated; scroll below for available colors. The snow defender 6500 is a pretty heavy duty snow guard. When you lift it up, you can tell it is built with quality metal just from the weight. They definitely work, but I do not like how the snow guard face is on the downward side of the slope. The weld that holds the face to the "arm" that clamps the roof, looks like it could possibly fail at the angle the snow is pushing on the face. 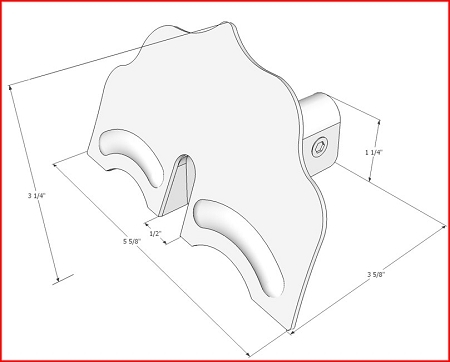 I think this would be a better product if the face was on the uphill side of the clamp. Only other issue I had was the snow guard was painted with the screws in it. This made it difficult on a few of them to sometimes screw the clamping mechanism to the roof. Very heavy duty. Went on easily, we'll see how well they work this winter.......they are predicting heavy snow this winter here in Maine. A good test. I first bought some less expensive clear snow guards at first, not worth it. I LOVE the look and performance of this snow guard. It matches my roof and is far more functional. Q: how does the snow defender compare in cost and installation time to the s-5 colorgard for a 16" panel 700' panels are only about 12-15' long? A: The installation will take at least twice as long. The ColorGard requires clamps, versa clips and the colorgard strips. Thus you would have to place the clamps, then attache the colorgard using the versa clips. The Snow Defender 6500 is a clamp-on snow guard, thus you place the clamps and you are done. Q: Is it possible to get a color swatch og any color to check it to our roof color? 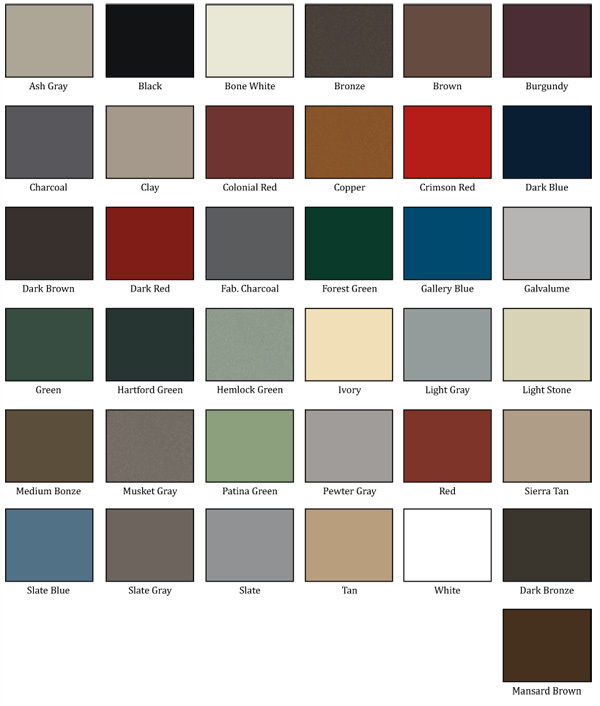 A: Please send your name and address to orders@roofthings.com and we will send you a color chart. Snow Guard Sno Shield Rib Guard 1 5/8"
Copyright Roof Things. All Rights Reserved.